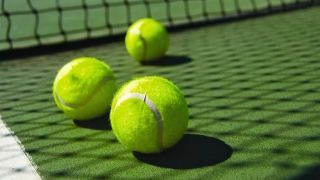 There’s more than one sport this summer that focuses around nets and balls – while all eyes for the last few weeks have been centered on Russia and the World Cup, we’re now turning our attentions to Centre Court, as the world-famous Wimbledon tennis championship opens. And this year, it’s not just the grassy lawns that will look immaculate but the broadcast matches, too. For the first time, Wimbledon is being served up in 4K, giving tennis fans the option to view the games in a pin-sharp resolution that’s almost as good as being sat in the umpire’s chair. ‘You cannot be serious!’, we hear you exclaim. But we are. Grab some strawberries, mix up that jug of Pimms and let us talk you through how to watch Wimbledon 2018 in 4K. First up, as if it wasn’t obvious enough, you’ll need a 4K TV in order to hit those ultra HD resolution highs. But not just any old 4K TV will do the business. The broadcasts are being volleyed over from the courts in 4K via the BBC iPlayer app, and if you’re hoping to watch purely through your set’s smart TV platform, you’re going to want to make sure you’ve got a compatible television. The BBC has put together a list of compatible screens here – it should be your first port of call. Samsung's Q9FN QLED TV is perhaps the finest we've ever seen. If your TV doesn’t cut the mustard for the Beeb’s 4K demands, all hope is not lost. If you’re the proud owner of a Virgin TV V6 TiVo box, a Roku Streaming Stick+, a PS4 Pro or a Sky Q 2TB set top box, they too are each compatible with the BBC’s 4K requirements. As for your broadband speed, that’s going to need to be served up at speeds that’d make Sam Groth blush. It’s the only way to ensure you’re getting a consistent 3840 x 2160 / 50fps performance from the service. To hit that resolution, you’re going to want a connection that’s stable at at least 40Mbps. If that sounds a bit too demanding for your broadband service, you’ll be pleased to hear that it’s an adaptive stream that the BBC offers, meaning it can scale in quality to match what’s available to it. So, if you’re hovering around the 20Mbps rate, you should be able to enjoy better-than-full-HD 2560 x 1440 resolutions, too. Finally, if you’re a Virgin V6 box owner, and don’t much fancy tuning into the BBC’s coverage, both the mens’ and womens’ Wimbledon finals will be offered up for to Full House package subscribers by pressing the red button on the Eurosport 1 and Eurosport 2 HD channels. The BBC kicked off its 4K coverage of the 2018 World Cup in Russia in June, and did so through a series of stress tests – it limited the number of people who could access the streams while it fine-tuned exactly how the service would work, and what sort of capacity it would support. The BBC streams not only support 4K resolution, but, depending on the capabilities of your screen and streaming device, it’ll also output in HDR, too. The BBC has opted to use the Hybrid Log Gamma (HLG) HDR format for its broadcasts, pushing peak brightness in order to really give a sense of presence and defined light sources across an image. However, not everyone has been impressed with the performance of the 4K streams during the preliminary World Cup test phase, with stuttery playback and some colour reproduction that’s been a bit off the mark. With the Wimbledon tournament overlapping with the World Cup, and multiple games from both sports being shown in 4K simultaneously, here’s hoping the 4K distribution platform can handle the extra load.